In 2013, I was perfectly bored with my perfectly awesome life. I lived in a nice house in the suburbs, worked at a fantastic job in a big city that I had enjoyed for five years that paid me well. But it had begun to feel like a daily struggle. My husband I didn’t really want to live in the suburbs, we wanted a home in the country, but the housing market crash had us stuck owing more than it was now worth, waiting for it to slowly get back to even. We were both commuting 40 miles each way to work, sitting in traffic for hours and just not feeling like our lives were our own. 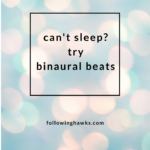 I had been meditating for about five years at this point, but not with any serious regularity or intention when one day in early summer, a client at work introduced me to a friend of hers who was opening a meditation studio just blocks from my office. I was so excited – an actual place to get some structured peace and quiet in my hectic days. I started going at lunch time every day and it was perfect: a 10 minute walk, followed by 20 minutes of meditation and a 10 minute walk back to the office. Her: You’re bored at work. Me In My Head: Yeahhhhhh….but don’t tell anyone. Me Out Loud: But I’m so good at it. And they pay me well. And what else would I do anyway? Her: This is not the best use of your talents. You’ll eventually learn something new. But you don’t have to do anything you don’t want to do so if you want to keep doing what you’re doing, nobody’s going to stop you. I knew this was the beginning of the end for that job. And my life as I knew it. I had been holding back and ignoring my boredom and lack of enthusiasm for my current situation. My husband and I had been spending our weekends helping my parents with their farm and had considered building a home on their property but that would make for an even longer commute for us. We had thought about buying a small vacation home in the mountains for weekend getaways and had even thought about paying for a monthly rental space at a destination RV park for our travel trailer just to have a place to get away to when we weren’t working (which was all the time anyway). It was clear we were trying to escape our lives without committing to changing our lives. Something had to give. But where would we go? We spent the summer considering our options and on Labor Day weekend, when visiting friends at their mountain cabin it hit me: Pine Trees and Water. I could go anywhere, but it needed to have those two elements. I could feel the pull of it in my heart. And my gut. My husband agreed and we started exploring: Colorado? Oregon? Northern Arizona? All good possibilities. And then, in October, an actual option presented itself. In Montana. Montana? 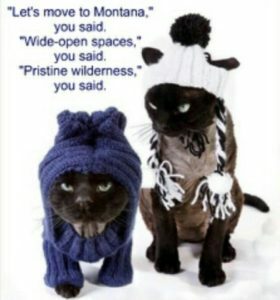 We had never been to Montana. We had never lived where it snowed. It wasn’t even on our list. But it was a job posting for the exact same job I was currently doing – for Glacier National Park. I looked up the location online. Pine trees? Check. Water? Check. Seemed like this might be where we were supposed to go. I didn’t even tell my husband that I had applied for the job. What if they never called for an interview? No sense winding him up if it wasn’t even a possibility. But they did call, and I did get an interview. And then another one. And then I had to ask him what he thought of moving to Montana….in about six weeks. To say that the decision to move somewhere we had never been and didn’t know a soul was easy would be a dramatic understatement. We talked, we ran numbers, we looked at rentals online and I meditated. A LOT. Mostly just in an attempt to ease the gripping anxiety about this decision. Was this the right choice? What if we hated it? What if we couldn’t really afford it? On New Year’s Day 2014, we arrived at the Glacier Park International Airport to see what we were getting into. We had three days to make a decision and find a place to live. I met my new boss, they gave me a formal offer letter and we found the most perfect rental house. On a lake. In the pine trees. It was happening. But then we had to go home and dismantle our lives, tell our friends and family, quit our jobs and sell our house. We cried so many tears. In fact, I was sobbing so hard when I packed the last few things from my office, realizing that I didn’t really think I would ever leave, that I could barely speak. 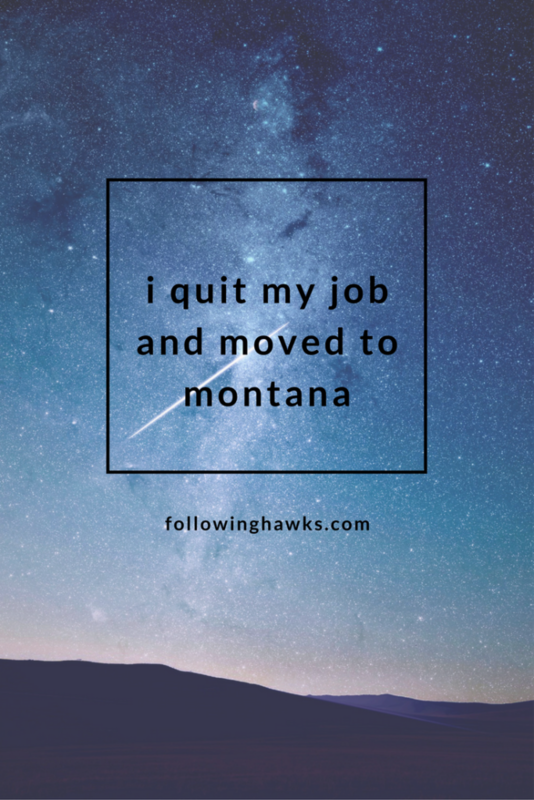 Three weeks later, we were back in Montana, with our best friends who helped us drive our cars and belongings across three states in the middle of winter (and who have since moved here as well). It was done. I had followed my heart and the signs I saw along the way. Every minute of our time here has not been smooth sailing but neither one of us has regretted, for one day, making this change. 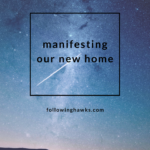 We love where we live and our lives have improved in many of the ways we thought they would but also in a million little ways we never could have imagined. The universe speaks softly to us at first – it’s easy to miss the messages until the shouting begins. I try my best to pay attention and avoid getting to the shouting stage. But I’ve also learned that the big transitions are rarely gentle. They typically upend our lives in ways we wouldn’t always choose. But if we want to grow and change and experience all that life has for us, sometimes we have to get a little uncomfortable. I often think about what our lives would be like if we hadn’t made the choice to move. What if we’d chickened out? We almost did, more than once. How else would the universe had suggested it was time to make some big changes? Would it have been health problems? Or somehow losing the job I was bored at anyway? I’m glad I didn’t have to find out. And I’m happy our path led us to Montana. I notice there’s less of the gripping anxiety these days. The more I listen and follow the guidance all around, the more I trust that all will be well. No need to worry – just keep following the signs. I absolutely love this and thank you so much for sharing!!!!!! I have also made several big changes in my life over the years. Your story is very inspiring and motivating!!!! I laughed out loud when I read about your friends moving there too! Thank you for this.